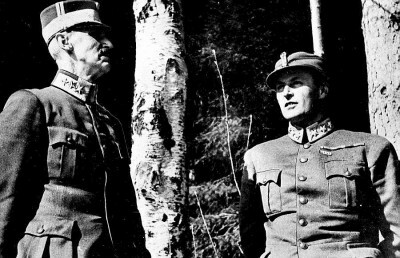 As Norwegians recalled their wartime history this week, attention turned to the chaotic escape of Norway’s king, crown prince and government from Nazi German invaders in April 1940. A new account of King Haakon VII’s historic decision to refuse to surrender shows how it led to nearly two months of harrowing travel north from Oslo, that finally ended on board a British naval vessel. Newspaper Dagsavisen ran a 10-page article over the Easter weekend detailing the wild, sleepless escape of Norway’s king at the time and his son, Crown Prince Olav, along with government ministers and Members of Parliament. The article, based on accounts in seven books and various interviews, sheds new light on the dramatic flight of Norway’s royal family and government ministers 75 years ago. It ended with their wartime exile in London. 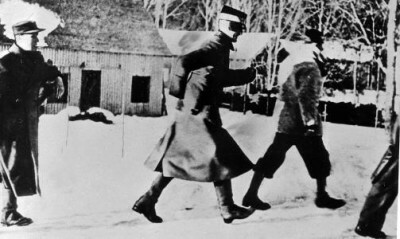 The article also revealed that if King Haakon had not accepted an invitation from British envoy Sir Cecil Dormer to join withdrawing British troops from southern and central Norway, he would likely have been captured by the British and taken to England anyway: “He may not REPEAT not fall into German hands,” read the order from British commanders. Dagsavisen reported that Dormer and his colleagues had instructions to seize Norway’s king and take him on board the HMS Glasgow, if he didn’t agree to join them voluntarily. Nearly three weeks earlier, the king and crown prince’s escape began in the pre-dawn hours of April 9. Alarms had rung shortly after midnight, when German troops were already sailing and flying into Norway, targeting Moss, Oslo, Horten, Arendal, Kristiansand, Egersund, Stavanger, Bergen, Trondheim and Narvik. Crown Prince Olav drove his American Buick himself from the royal estate at Skaugum to the palace where his father lived in Oslo: “I had decided to run down anyone who tried to stop or hinder the car,” he reportedly said later. He didn’t trust anyone else to drive. His wife, Crown Princess Martha, was seated next to him and their three children were in the back seat, after being told to dress for a trip to the mountains. As they drove out the gate of their suburban compound, the crown prince warned his royal guards to prepare for armed combat. At 7am, the president of the Parliament Carl Joachim Hambro was waiting for the royals at Østbanen, now Oslo’s Central Station, with extra trains organized to take the royals, government officials and politicians north to Hamar. Norwegian defense forces had managed to torpedo the large German cruiser Blücher, full of German troops, and that sufficiently delayed the invasion to give the monarch, the heirs to the throne and the government enough time to escape. What followed were nearly two months of harrowing, mostly haphazard travel around Norway as the ministers and the royals tried to stay ahead of their German pursuers and their bombers. Their first train from Oslo had only made it as far as Lillestrøm, just northeast of Oslo, when bombing began over the airport at nearby Kjeller. The royal children were ordered to lay flat on the floor of the train with curtains drawn. Then it was decided that everyone on board should evacuate and seek refuge in a train tunnel. When it became clear that the train wasn’t the target, they set off again, arriving at Hamar just past 11am. The prime minister was there, having opted to drive, but he wanted to resign his post. His resignation was not accepted and the government convened in emergency session at a nearby theater called Festiviteten. Meanwhile, in Oslo, 100 highly trained German paratroopers were ordered to start chasing the royals and the government, meaning they had to stay on the move. They headed for Elverum, east of Hamar, after being warned that the Germans had already passed Jessheim, close to Oslo’s main airport at Gardermoen, with instructions to capture all Members of Parliament. The 68-year-old king didn’t sleep for several days. Crown Princess Martha and the three royal children including today’s King Harald were driven to relative safety over the border to her homeland of Sweden, while King Haakon and Crown Prince Olav eventually wound up farther east of Elverum, in Nybergsund near the Swedish border, after Elverum was threatened. The royals and the government were split up, as were the government ministers themselves. Norway had been woefully unprepared for war and there was no firm evacuation plan for any of them – they were forced to move in accordance with their wits and the demands of the moment. At one point, King Haakon did agree to a meeting with Braüer back in Elverum, where Dagsavisen reported that the monarch was offered a position in Hitler’s Third Reich in return for recognizing the Norwegian Nazi Vidkun Quisling as Norway’s new prime minister. King Haakon’s historic refusal to accept the change of command in Oslo was met with Braüer telling him that the Norwegian monarch would then be responsible “for all the youth who would die in a hopeless war” if he didn’t cooperate. The meeting lasted around 10 minutes. King Haakon returned to Nybergsund where he informed his government ministers of Braüer’s ultimatum. They went along with his refusal to cooperate with the Germans – otherwise the king would have abdicated. It didn’t take long before Nybergsund was bombed, and the king and crown prince had to literally run for cover in a snow-filled ditch. The town was heavily damaged, with stores and the schools in flames. The brutality of the enemy was felt with full force but miraculously none of the royals or ministers was killed. They then had to move again and decided to head north, on extremely poor roads. They made it to Innbygda where the king asked to wash his hands. “I helped him as best I could,” the secretary in the local sheriff’s office later recalled. The prime minister was nervous and exhausted, and tempers flared, but both he and others received dry socks. After much confusion and disagreement over whether to seek refuge in Sweden, the king and his ministers eventually split up but the goal was for all of them to get to the large valley of Gudbrandsdalen to the west of where they were. Norwegian General Otto Ruge had set up his new commando there, in charge of what was left of Norway’s defense. King Haakon did eventually cross the border at one point into Sweden near Drevsjø, according to Dagsavisen’s account, but returned to Norway after being informed by Swedish officials that the royals would have to be interned in Sweden. Their odyssey continued up through Østerdalen to Tynset and Folldal and then to Hjerkinn in the mountains of Dovre, but then they had to abandon their cars because no roads were cleared. They disguised themselves and rode a freight train that was still running down to the town of Dovre, at the northern end of Gudbrandsdalen, where Norwegian military personnel were waiting to take them to an inn at Heggelund near Otta on April 14. For the first time in five days, the king could get some sleep and even take off his uniform. Crown Prince Olav could, a few days later, get farther down the valley to meet with Ruge in Øyer. The king was then reunited with his government ministers and equipment was sent so that he could broadcast a short message over radios that hadn’t yet been confiscated by the Germans: “In this most difficult time that my people and my country find themselves in … I ask all Norwegian women and men to do all they can to save freedom and independence for our dear fatherland. God preserve Norway.” It was the first contact King Haakon had been able to make with “his people” in nearly a week. With more German paratroopers dropped over Dovre it was necessary to keep moving, but at one point the king and his government got trapped between two German lines in Dombås. General Ruge then strongly urged them to seek refuge at an historic mountain farm called Sandbu, owned at the time by shipowner Thomas Olsen, who later also fled to London with his family. “Sandbu was a quiet and beautiful place,” wrote the prime minister later. The royals and the government stayed there for four days, from April 17-21, and sent salvos condemning the new administration in Oslo. From Sandbu they traveled to another inn, Stuguflåten, at which they held three meetings and voted to nationalize Norway’s merchant fleet and run it through a new entity called Nortraship, encompassing 1,000 vessels and around 30,000 seafarers. That helped secure the national economy both during and after the war. Within a few days they had to move again, dodging combat and bombers in the valley of Romsdalen until they eventually made it to Åndalsnes and Molde on April 23, where they joined allied British forces. Even though the Germans had been defeated in various towns around southern Norway, they prevailed over the allies and by late April, the British, French, Polish and other allied forces were giving up and pulling out of southern and central Norway. King Haakon was asked to withdraw with the British troops on board the HMS Glasgow, and he complied, heading for Tromsø on April 29 with Molde in flames. Norway’s defeat was declared on June 9 after the king and government headed from Tromsø into exile in London. They returned almost exactly five years later, after Germany itself had been defeated.